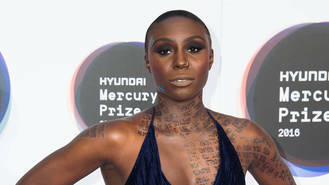 The Green Garden singer has made a name for herself with her unique sound, earning her three BRIT nominations and two MOBO Awards. Even though she has a massive fan base, Laura isn't immune to moments of self-doubt when it comes to her talent. Her confidence was certainly boosted when she performed a rendition of Michael Jackson’s Wanna Be Startin’ Somethin' for the BBC Proms in August (16) in front of music extraordinaire Quincy Jones, which she describes as one of the “highlights” of her life. She recalls experiencing “pure joy” while belting out the hit track and was overtaken by a wave of emotion. “Being overwhelmed with the honour of playing tribute to Michael and in the presence of his mentor (Quincy), you know, it was an amazing privilege,” she recalled. Laura, 30, released her latest album The Dreaming Room this summer (16), following on from her successful debut Sing to the Moon. Despite it receiving much critical acclaim the star admits she felt a great deal of pressure to record material the second time round.